Kamal Nath took oath as Madhya Pradesh Chief Minister on Monday. DMK's MK Stalin has set the cat among the pigeons by pitching for Congress president Rahul Gandhi as prime minister, a suggestion that many opposition parties have firmly tamped down saying it is "too premature". Even senior Congress leaders working with allies appear reluctant to push this campaign. 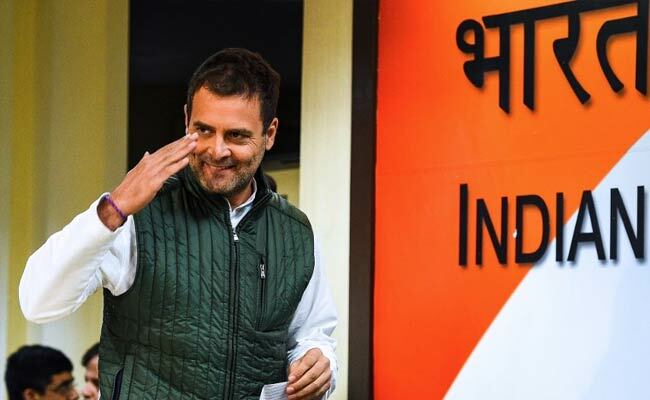 Kamal Nath, 72, who took over as Madhya Pradesh chief minister today, said the Congress was in no such hurry, neither was Rahul Gandhi. "I am not sure if people will have a problem... Rahul Gandhi never said he insists on the prime minister's post. This has got to be discussed among all allies without any pre-condition and the Congress has to go along with that," said the former union minister and nine-time MP, in an interview to NDTV. "This will be a post Lok Sabha poll issue, if all the leaders decide on one name, that will be the name... it is rather premature to say this now. In one or two months things will emerge more clearly in this," Kamal Nath said. The Trinamool Congress of Mamata Banerjee and other allies like Bahujan Samaj Party (BSP) leader Mayawati have expressed unease with the DMK's suggestion. However, Mr Nath denied that this was the reason Mamata Banerjee, Mayawati and Samajwadi Party leader Akhilesh Yadav were staying away from the swearing in ceremonies. Kamal Nath said Mamata Banerjee and Mayawati had "genuine reasons" for not making it to his oath ceremony. "I spoke to Mayawati personally. She pulled some vein. She said she would speak to her doctor. It's not that she is sending any signal, for her it's a genuine health problem," Kamal Nath told NDTV. He also shared that when the Congress fell just short of a majority in Madhya Pradesh, he spoke to Mayawati and requested her support. "She readily agreed, I am grateful to her. She sent local party leaders to give me her letter of support." Akhilesh Yadav had promised to come when he spoke to him, he said. About Samajwadi Party leader Akhilesh Yadav, he said. "As far as I know Akhilesh is coming, I spoke to him about three days ago." The Samajwadi chief had also readily supported the Congress in Madhya Pradesh and had "WhatsApped" his support letter, Kamal Nath revealed. As for Mamata Banerjee, she had cried off because of her mother's death anniversary, he said. "It's the death anniversary of her mother and puja was going on. I spoke to Mamata Banerjee, we discussed can she come after the puja, but we had three swearing-in ceremonies on the same day, and it was not possible to shift the time. It's not an excuse, she genuinely wanted to come."